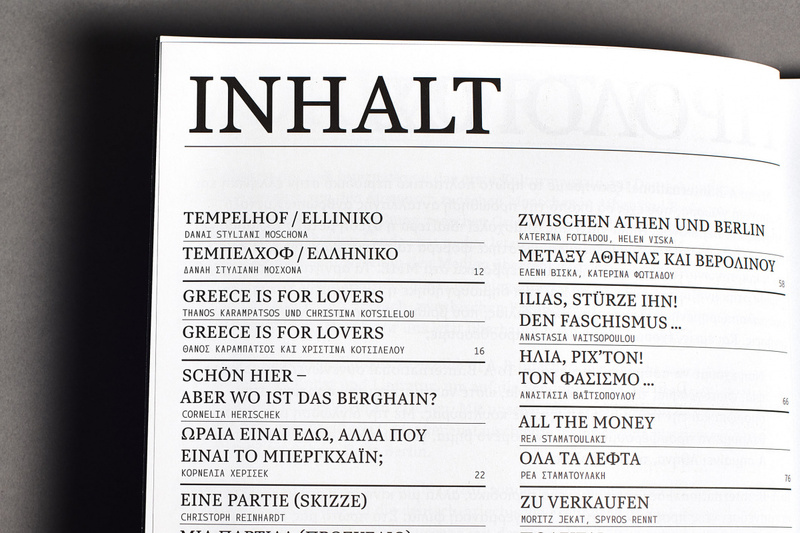 A-B international is the first, independent cultural magazine in Greek & German to deal with political and social matters from both countries. 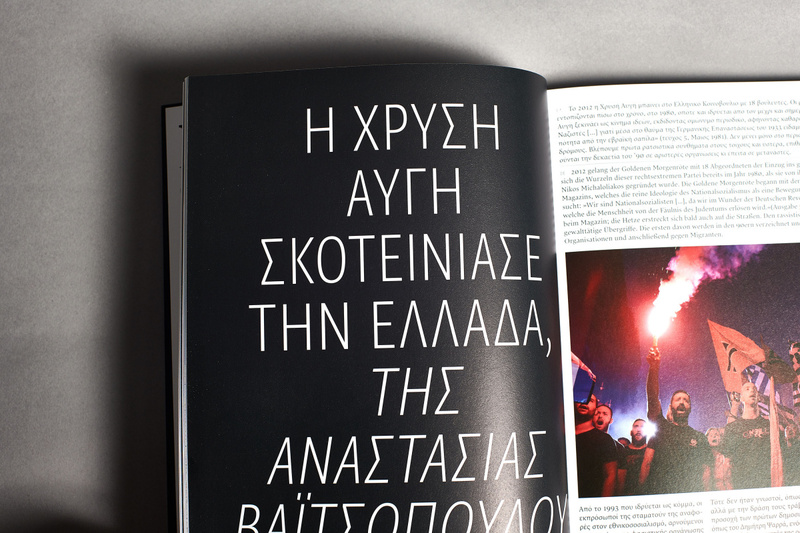 The content of the first issue was created in collaboration with independent journalists, photographers and writers. 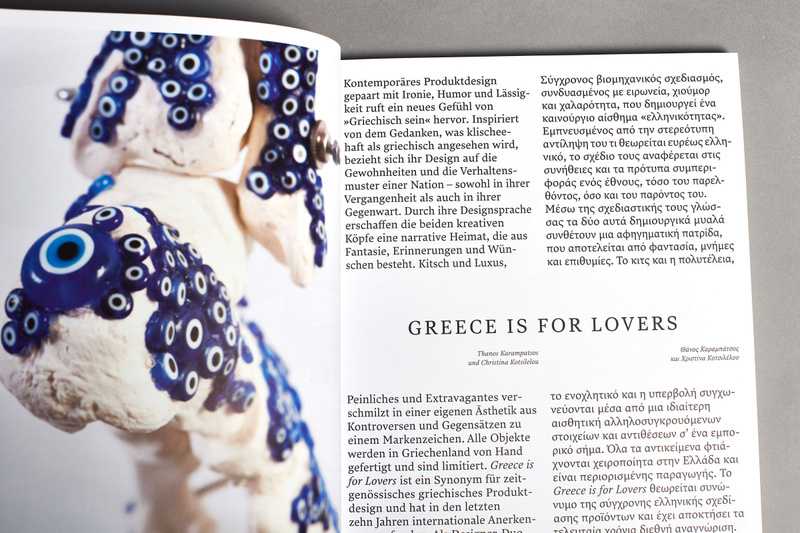 The art director of the magazine Majada Daria Ramadan chose Typotheque’s Lava for the main text, Greta Sans Condensed for headlines, not only because of its support of both Greek and German, and also because the selected fonts resonated with the content of the publication, connecting people across Europe. 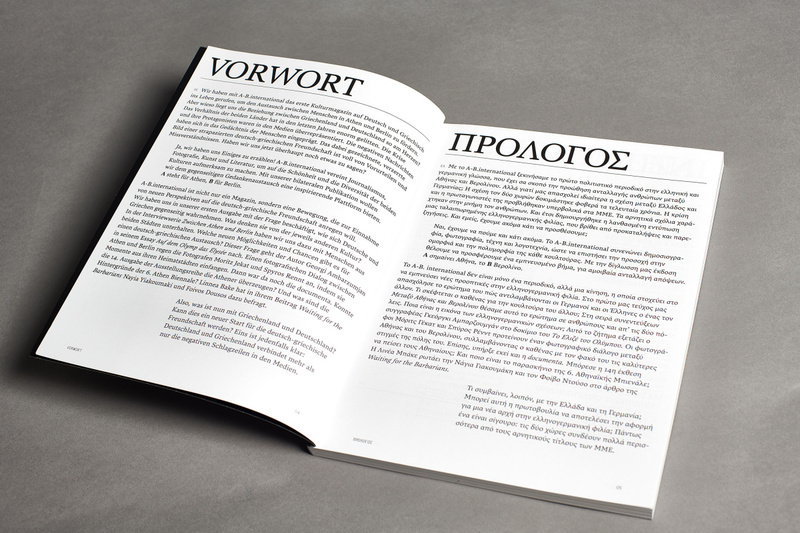 Lava was originally designed for another magazine Works That Work.